When you think of ray tracing, games like Battlefield V and Shadow of the Tomb Raider come to mind. But what about Minecraft? Not even in the same league, right? That's where you'd be wrong. The “path tracing” rendering method utilized in the latest build of Sonic Ether's Unbelievable Shaders (SEUS) looks just like ray tracing, and may be the best Minecraft has ever actually looked. Artist @notglacier went on Twitter to post a few intriguing videos of how much of a staggering difference the effects make, with light beams, reflections, and other realistic additions that make the blocky sandbox game look more like a critically-acclaimed graphical powerhouse. You can run Minecraft on just about anything, but if you want to run this shader pack, you're going to need something more substantial. For example, @Notglacier used a GTX 1070Ti to get these effects, so if you're interested in something similar, it may be time to upgrade. 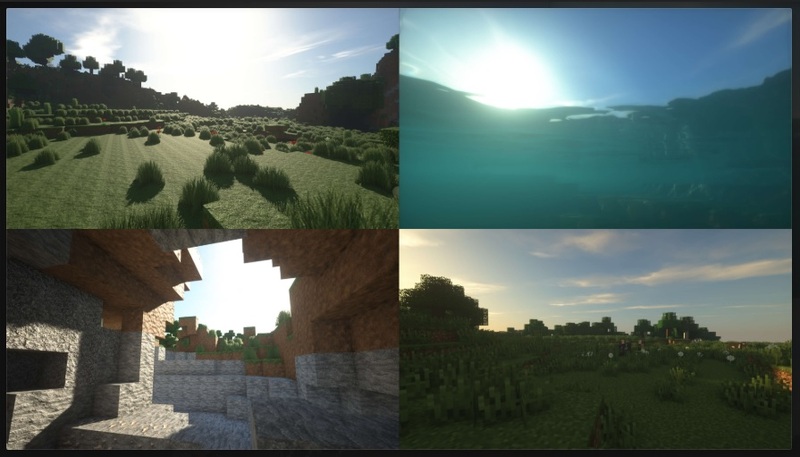 If you think you'd like to give your copy of Minecraft quite the substantial upgrade, you can download the shader pack via Sonic Ether's Patreon if you offer up some backer money. If you want to see these and other cool packs from the modder in the future, it's well worth throwing some money their way. Shout out to 60days for bringing this to our attention with his Chatty thread.